Binance is the no.1 global crypto-currency exchange situated all over the world. "Binance, the exchange with the highest volume"
I have tried many Bitcoin exchanges and with the exception of about 3 or 4 all have the same problem and they do not have enough volume to sell or buy with liquidity, although in appearance it may seem that if the vast majority of its volume is fake produced by thousands of Bot. In Binance the opposite occurs because most people concentrate on this exchange, therefore their liquidity is very large. - Although it has been hacked before, the platform has always supported the funds of its users and has been completely transparent and given explanations about what happened. - The platform has the most important cryptocurrencies that currently exist, these are added through voting processes among Binance users. I recommend using Binance if you are looking for an exchange to sell or buy one with a large amount of cryptocurrencies because Binance is the exchange with the greatest liquidity and volume that currently exist. Sometimes due to my work through the internet some clients make their payments in cryptocurrencies so that it is necessary to sell the coins later in order to convert the cryptocurrencies to cash and make a withdrawal of funds to my bank. "Reliable and safe exchange of Bitcoin and cryptocurrencies"
Binance is an excellent exchange of cryptocurrencies that in recent months is enjoying tremendous popularity. Interest in cryptocurrencies grows more and more with each passing day. It is normal that at this point many users look for platforms where they can acquire cryptocurrencies beyond Bitcoin. This platform offers its users the possibility to buy and sell more than 100 different cryptypes at a very low commission per transaction. The platform can be used by any user from any part of the world and from any device or operating system. Binance applies the security protocols ISO / ICO 27007: 2013 and CCSS in its platform. Regarding the accounts, it offers users the option to activate double factor authentication through Google Authenticator to make deposits, withdrawals and modifications of personal data or account security. I recommend using long and secure passwords, activating double factor authentication and above all never storing too much funds in the account. And when it comes to storing large amounts of cryptocurrencies, the safest option is always the hardware wallets like Ledger Wallet or Trezor. Personally I have been using the platform for several months and have made multiple transactions without any problem. Personally, it helps me to manage the cryptocurrency wallet of the company, since it is a job that I carry out continuously, so I feel safe managing funds, purchases and sales of cryptoactives through the binance platform. What Cryptocurrency Exchanges solution do you use? Binance is an open market of cryptocurrencies, I like that it has support for almost all currently available: BTC, Dash, ZCash, Ethereum. With Binance I can review the forecasts of the market and visualize the cost graphs of each of the crypts. I like all the encryption that Binance offers in each operation. The basic and advanced views allow you to start in this world from a smooth and precise diagrams, until you can analyze and review the advanced graphics. Binance is one of the lowest commission exchanges per operation. Withdraw and deposit funds will be done cleanly and I like that they already have double authentication. The market for cryptocurrencies has fallen in recent months and this has caused less movement in Binance, which has decreased the number of users with which one can make transactions. There are some functions such as custom lists of currencies that are not yet present in Binance and in other websites. I recommend this page for personal users or companies that need a place to check the price of Bitcoin daily and can market safely and without worry of fraud. It is the best option in the market to start in this world. With Binance I was able to enter the cryptocurrency market and the learning curve was not as abrupt as I expected. With this page I can verify the market and be able to market quickly with my deposits. "Binance - the best exchange of cryptocurrencies"
As an exchange platform, Binance allows users to operate with more than 100 cryptocurrencies in real time, being able to deposit, buy, send or trade these currencies, in order to achieve short-term benefits with this practice. Binance offers a very simple and intuitive interface, facilitating its use for users who start in this world and giving all kinds of options for the most expert traders. In addition, it is located to numerous languages, among which is the Castilian. It also offers very high performance when it comes to processing data. To date, Binance has achieved great success and has created a great user community since it is one of the best options for a variety of cryptocurrencies. In addition, their transaction fees are very low, which further enhances their position. There is no limitation per area, it can be used anywhere in the world by any user, and it is also available as a web platform (we operate from the Binance website itself) and a mobile app (Android and iOS). Binance offers security because it uses a multi-cluster architecture and a system of different levels that improves the stability of the exchange. It is compatible with all types of devices and web browsers, which triggers its usability and access from anywhere, being available in Android, HTML5, WeChat. With Binance you can trade with a variety of currencies, such as Bitcoin, Ethereum, Litecoin or the BNB itself. You can use binance with total security since it has a stable, secure platform, with several years of recognition that they have achieved with effort and dedication to position themselves as the best exchange of cryptoactives today. "The best exchange in the digital market"
Binance is a fantastic exchange platform for digital currencies and cryptocurrencies. Its interface is precise, very fast and with an incredible ease of use. It is impressive how this works, the standard mode allows a start in this world and then you can enter the advanced to obtain better parameters to perform your transactions. The commissions for the exchange offered by Binance are among the best in the market and its policy to withdraw funds are very good, allowing up to 100 BTC with a certified account with photography. They have the largest number of cryptographic digital currencies supported, from Bitcoin, Ethereum, Dash to GAS or Zcash and this guarantees the flexibility to carry out transactions and participate in the market. I have no negative comments about Binance, so far it is the main Exchange that I use to carry out my operations in the cryptocurrency market. If you need a good start in the Exchange, trust Binance and activate double authentication for your account for added security. This page marks the difference in the cryptocurrency market. I recommend it absolutely. With Binance I can multiply the money with smart transactions in the digital currency market, thanks to Binance I can be informed of the ups and downs of each currency and thus have how to decide each operation. Thanks to its easy interpretation of the graphics, it was not difficult for me to enter this world. It is based in Asia, so good luck if anything ever happens, say they get hacked or something, no FDIC to protect foreign investors, but the same could be said of practically every exchange. The difference is that Binance is so powerful, that its demise would affect an over-sized portion of the market in a large, negative way. However under current leadership, I don't really see anything bad happening. They are doing a good job. Just remember, this is crypto, anything can happen, keep as many of your own private keys as possible! It's the most user friendly and GUI product available on the market today. Don't be afraid to participate in their competitions, I used to think that there's so many people here that I could never win, but I have a couple of times! if not enough people play, you are automatically one of the winners just for meeting the min. requirements. Long term hold platform for smaller assets, and depending on risk, larger assets. Possible to do quick sells when those "buy the rumor, sell the news" moments come up. Also if you are API inclined or have a mind for that kind of stuff, you can easily set up robots to monitor charts for you and tell you when to make a trade. Others offer this too but it is most effectively done on Binance. "Binance is a cryptocurrency exchange for all types of traders." The interface is very easy to navigate, there are all the major coins listed, and many have multiple types of pairings. The company is very dedicated towards making the exchange the premier source for trading-- there are many trading events all the time, and coin approval doesn't come without solid review. This allows for an exchange where every coin on it is considered to some degree legitimate. There is no way to margin trade with the exchange in comparison to other exchanges. So for any advanced traders that are looking to leverage money it is not possible with Binance. Also sometimes there will be issues where the platform crashes because of larger volume and many will not be able to access it. Try and use the info section to learn about the coins on the platform, there are also heavy in-depth explanations of how to trade on the exchange. Also note that there are no direct fiat deposits for Binance, so you have to transfer from another source into Binance to begin trading. Binance allows businesses a clear platform to be able to see accurate coin prices. Binance also has an extremely informative info section that teaches about the coins that it has listed and also how to trade. It is an exchange founded in China, very new still but has been gaining confidence among users, Binance was created after an ICO offer and the launch of the BNB token which pays lower fees on the platform, has assistance in several languages, allows trading with more than 100 cryptocurrencies, high liquidity, low commissions for transactions and withdrawals, has 2 ways to see the platform, basic and advanced, I prefer basic. Binance has some problems in the app android, there are some delays in withdrawals, does not accept fiat money. So far Binance has proven to be a very useful tool for trading with cryptocurrencies and is among the most reliable I use. When exchanging cryptocurrencies the speed of the platform is a determining factor for the constant fluctuation of currencies, Binance has the capacity to process 1.4 million transactions per second. "Binanceo ne of the best exchange currently"
Binance is one of the fastest growing exchanges in the cryptocurrency market, in the short time that I have using binance it seems to me to be one of the best exchange that exists acutalmente, it is one of the fastest exchanges with a tendency to make 1.4 million transactions per second. It has a large team consisting of developers and expoertos in cryptocurrency which provides robustness, security and speed of execution in their transactions. It also has a support for a large amount of cryptocurrency, which makes it ideal for new or growing cryptocurrencies due to its high number of users. also has the option of "LaunchPad" in which you can see the next blockchain projects and their coin launches. "Leading Crypto Exchange Doesn't Disappoint"
There is a wide range of cryptocurrencies. The exchange is easy to use and orders are fulfilled quickly. The affiliate program allows you to earn fees on trades made by those who sign up using your link. There are a variety of login security measures. There is an excellent facility to consolidate small balances of various coins into a single larger balance of one coin. Sometimes the exchange slows down when busy. Does not list all alt coins. There is no charting functionality. Transaction fees for credit/debit card purchases are high. Some suppliers provide discounts for purchases made using cryptocurrencies which can be facilitated through Binance. The best part of binance is the ability to trade a large variety of cryptocurrencies with low transaction costs. The interface is fairly straightforward, and the detailed data given by Binance is helpful for new traders. Binance can be very slow in terms of website updates, profile authentication, and the like. The users of binance are generally happy with its implementation, but I would argue that they still have a lot of work to do in terms of picking specific cryptocurrencies for trade on their platform. The wide variety is good, but only if the coins are trustworthy so to speak. Of course, this is just my own personal opinion. I haven't solved any business problems so to speak, but I have realized the benefits in diversifying my portfolio. "Excellent cryptocurrency exchanger, easy to use and versatile"
"Binance is the leader of its industry"
Binance actually understands the mindset and ethos of the crypto-community and the mantra of decentralization, it's no wonder that they have the highest trading volume in the world while being a relatively new exchange. Instead of applying the rules of the old paradigm to centralized cryptocurrency exchanges, they actively take steps to be the best in their field by building a DEX instead of fighting against the same core principles that underpin the technological value of cryptocurrencies. Their efforts to develop risk management and anti-fraud procedures underpin the attention to detail they spend in getting the small details right by focusing on R&D. Uhh, Binance is doing great. Great vision, implementation, thought leadership, marketing, etc. I'm impressed by the platform's emphasis on anti-fraud measures, trading simplicity, branding, and community outreach. The most professional hackathon I've ever attended was sponsored directly by Binance labs and I find myself impressed by the organization's commitment to being a branded player in the community. As a trader, Binance offers the rare opportunity of a reasonably secure marketplace free of scam-coins or low quality projects. As a blockchain engineer, Binance is an example of an impressive business hybrid that capitalizes on the old while ushering in a new era. As such, its profits and reputation have increased accordingly. Binance is the most popular exchange and also has the highest volume of all exchanges. Binance is known for causing coins to pump incredibly high upon listing. They also have incredibly secure cold storage wallets called "trust wallet". Binance also recently announced that they would donate all listing fees to charity. Sometimes random coins get picked by groups to have a large pump for seemingly no reason. It is a great place to trade. The top exchange by volume and some would say by security as well. High liquidity and access to quality projects. Secure storage and a very professional team with an all star CEO that enjoys engaging with the community. "Very intuitive and simple interface"
Binance allows to operate with more than 100 cryptocurrencies in real time, has a very intuitive and simple interface for those starting in this business and more advanced tools for expert traders, has a very attractive system of fees, paying with BNB there is a 50% discount the first year, very convenient. The app has never worked well and sometimes withdrawals take a long time. It is a very good platform where you can make transactions quickly and easily. It's an exchange that gives me access to many cryptocurrencies at a low fee, plus it's safe and fast almost always. "Binance is simply the best"
Binance is the top exchange by volume but also in quality and the amount of resources available to their users. One of the most interesting things they've done recently is launch Binance academy which provides free education and insights into all the coins that they list. 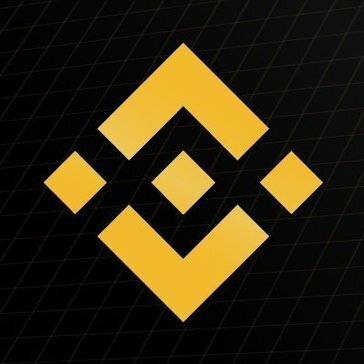 There was a lot of speculation about projects being charged very high listing fees to get on Binance. However, they seem to have acknowledged this and now donate the listing fees to charity. Binance is the top exchange by volume for good reason. An incredibly user friendly experience with the added bonus of free educational resources to help make informed decisions. Binance is a great exchange for traders/investors of all levels. A new investor can learn a lot with the free educational materials and a seasoned trader has access to the highest volume of any exchange. "i love this Crypto exchange"
Every things is good about this exchange. no fake coins ,easy use ,lot of bounties, charts are really good too . and it,s very secure. plus there is 25% off in treading fees when you use BNB coin as fee. There is nothing much to dislike about it. This is the best crypto exchange i have ever found . it has almost all top coins . it,s very user friendly if you are doing crypto trading and not using Binance you should definitely give it a try. i am using it as Crypto currency treading platform . it,s very beneficial if you are a trader. it make earning money so easy. Binance is the best exchange ever. The numbers don't lie and Binance has the highest volume of all exchanges! The security, user experience and available tokens all make this a great place to trade. Sometimes random projects get a lot of hype for no reason and then crash. Binance is great. They have the highest volume of all exchanges. This will significantly help you as a trader. Anyone looking for an exchange with high liquidity and access to great tokens should look no further. This has helped me significantly in trading with speed and getting the best deals or sales. "Best crypto exchange for ALT coin trading"
Trading options are basic, just basic market, limit and stop-loss. Trading and withdrawal minimums and fees for some alts make it expensive to move them from wallet to exchange and back. "Binance - mostly frictionless platform for trading many cryptocurrencies, or "altcoins""
Some exchanges, like Coinbase, offer a select few cryptocurrencies for trading. Binance goes the other way, offering hundreds. Trading altcoins isn't for everyone, but for those who do, Binance is the most popular platform in the digital assets space as of 2018 - one year after its launch. Binance's popularity makes it a huge target. It looks like the exchange spends big on security and defenses, but still, hackers can be pretty genius, and exchange hacks in the pasts suggest a centralized Binance will remain targeted. This isn't being said to scare anyone off, it's just best to recognize that hackers are always probing. To their credit, Binance has held up their defenses adeptly so far. One should always use exchanges at their own peril. But Binance is a leader for now because people like its offerings. Give it a try and you may like the experience too. I don't recommend keeping assets on any crypto exchange for indefinite periods of time. The advantage has been mainly seen in the ease of making small trades or studying order books by individual team members for analyses. I can get most of the coins I want. They have some of the cheapest fees if you use their token when trading. They are also one of largest exchanges which gives them high liquidity. They need to list the average price I paid for the coin in their funds balance page. Too often I find myself hastily flipping between pages before I initiate a buy or sell. One stop shop for all. "Crypto Exchanges at Market Rate"
it has some details that it must polish so that it can reach the maximum efficiency and effectiveness that it needs.Verification process is so hectic. User has to put a clear image as well as the login link doesn't work sometimes. User has to write "binance with name and date on it. If the user doesn't have computer with clear webcam the user won't be able to get verified. I am a personal user trying to balance out my investments by diversifying out of usual equity stock. Binance has alot of options for crypto lovers. There are low fees and multiple options for currencies as well. The site is very user friendly once you know how everything works. Binance uses alot of options and buttons that alot of people dont trult understand what they mean. I personally have a hard time sometimes understanding the conversion for currencies. Binance is super easy and user fiendly that almost everyone can understand. As opposed to gdax, binance is alot easier to understand and handle. If crypto is the future of our currency, then binance is the central network for it. Binance is probably the best cryptocurrency exchange out there. It offers a large selection of tokens and UI interface is both reactive and easy to use. I have never had any issues with deposits and withdrawals. They are fast and fees are relatively reasonable. Support is also top notch compared to competitor platforms. They can take time to list some new tokens and listing fees are high. Certain tokens have high withdrawal fees. I highly recommend this exchange. Reliable and safe to use. The gold standard of crypto exchanges. Fast and reactive trading of tokens. I can have all my cryptos in one place. Also its user friendly. Cheaper fees than coinbase. The multifactor authentication could be improved. Having all crypto traded on one helps isolate delays in switching through other platforms. "BInance has highest variety of coins available for trading"
The wide variety of coins they offer, their swift action against shady tokens. Inability to withdraw USD to bank account. Still have to use coinbase in the end. Start with a more basic exchange first. It's overwhelmed some of my friends newer to crypto. With its wide choice of coins i've been able to stop using some smaller, less trustworthy exchanges. Binance let’s you pay fees in Binance tokens. They equate to half of other fees. Also, once a quarter, they burn 25% of the fees they collect. Making your remaining binance coins more valuable. Good number of coins that can be traded. Dashboard is great and easy to understand for trading. The best security features along with MFA. The fees are high and I see market orders take time. Great exchange and good dashboard. "Binance is a useful crypto platform for newbies and experts alike"
ease of use, and info in one glance - also speed when placing a trade. I like all the money. And like to read I like everything on the planet. I like everything that is money. poverty Do not like I do not like dogs, I do not like it. It's a cute animal. It is very dangerous to people like fleas or their tick. You should study well before making a decision. Trading on multiple trades around the world at the same time. The system often has problems. "Most secure exchange for alt-coins. " I enjoyed the large selection of alt coins, as well as a well thought out (secure) onboarding. It’s helps weed out scammers. The native iOS app crashes from time to time. You have to rely on a third party app and use there secret key & api for the feeds. "Great exchange with high moral integrity and solid software. Customer supports is lacking"
They provide excellent software with and industry leading UX. Being able to access a wide range of currencies and trade with advanced trading tools. They best vet the projects to maintain a great offering of investments. Not much to say here. They have become the top exchange for a good reason. Secure platform that has handles scaling in an amazing way/. "Bad UI, but overall better than Bittrex"
They are quick to list new crypto. I like that they have a variety of ways of exchanging one crypto for another. I like that their sell orders are percentage based. I would prefer it to be darker, more physical buttons (1 hour, 1 month, etc), more technical analysis indicators. It's a better way of investing your money than keeping it in a bank account. * We monitor all Binance reviews to prevent fraudulent reviews and keep review quality high. We do not post reviews by company employees or direct competitors. Validated reviews require the user to submit a screenshot of the product containing their user ID, in order to verify a user is an actual user of the product. Hi there! Are you looking to implement a solution like Binance?